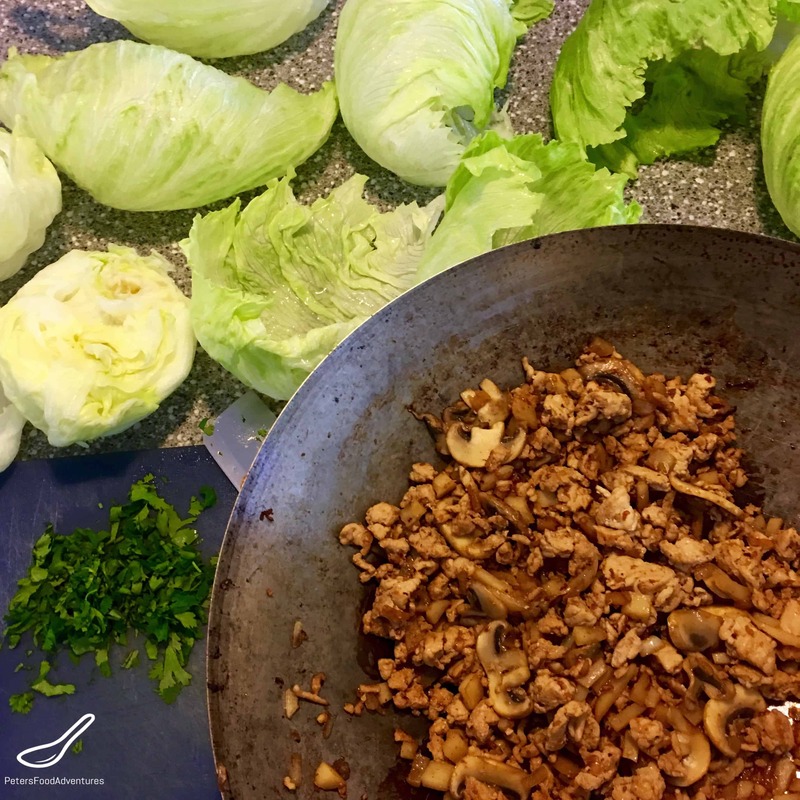 San Choy Bow or Asian Lettuce Wraps are a delicious and healthy meal to make, and a great low carb dinner meal! It’s also a budget friendly meal, leaving your family asking for more. What is San Choy Bow? In Australia, we call this recipe San Choy Bow, or sometimes spelled San Choi Bao. Our proximity to Asia and being a multicultural country, we seem to embrace traditional ethnic names of food. In America, this recipe is more commonly known as Asian Lettuce Wraps or Chinese Lettuce Cups. Very simply, it’s flavored fried chicken or pork, eaten wrapped inside a lettuce leaf. What Is In San Choy Bow Sauce? In Australia, Asian Lettuce Wraps are commonly made with Oyster Sauce as a flavor base. However in North America, Hoisin Sauce seems to be the common sauce ingredient. Just use whatever sauce you have in the fridge! I prefer the flavour of Oyster Sauce over Hoisin, but it’s a matter of preference. For an extra sweet and spicy kick, I drizzle Sweet Thai Chili Sauce over the meat before eating. You can add whatever sauce you like. Which Lettuce is Best for Wraps? Typically Iceberg Lettuce is used when making Asian Lettuce Wraps. Iceberg is quite large and can be hard to roll up. Butter Lettuce is smaller and softer, making it easier to roll. However, Iceberg has a great crunch and I think goes better with San Choy Bow. It can be hard separating the Iceberg Lettuce individually, especially the closer you get to the centre of the lettuce core. If I get frustrated or rip too many, I sometimes chop the lettuce into salad size pieces and top with the meat, like a nacho salad. I just tell the family that I planned dinner this way on purpose. San Choy Bow or Asian Chicken Lettuce Wraps are so easy to make, did I mention delicious? You’ll be a healthy hero making this tasty Chinese meal. Who needs take out? Bon Appetit! Приятного аппетита! Asian Lettuce Wraps are simple, healthy, low carb and delicious. Also known as San Choy Bow. A Chinese style dinner your whole family will love. Don't order take out, make this instead! Heat oil in a frying pan and saute the ground chicken until browned, around 5 minutes. Stir in garlic, onion, ginger and mushrooms and optional chili pepper and stir fry together for about 2 minutes. 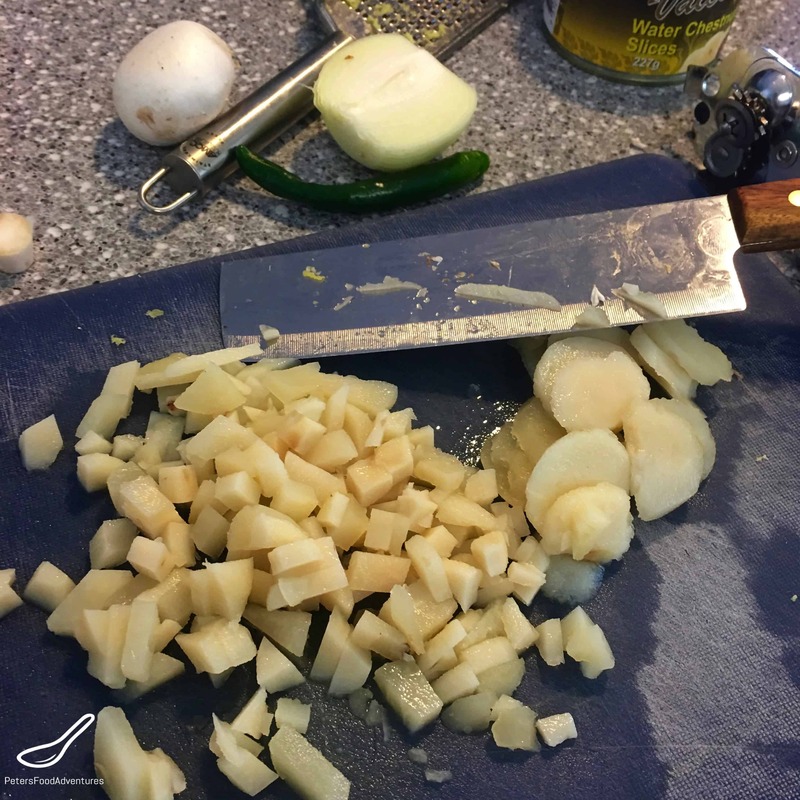 Add the diced water chestnuts, rice wine vinegar, sesame oil, soy sauce and oyster sauce and mix together, cooking for about 2 more minutes. Garnish with fresh chopped cilantro and spoon into the middle of a single lettuce leaf. Enjoy. Oh, this looks so good! I’ve only ever ordered lettuce wraps at restaurants, and so I never think about making them at home. I’ll have to try this. Thanks Jasmine! They’re so easy to make and healthy too, especially good at this time of year! ???? I missed this a lot! I love eating it when I was small. Great meal for sharing with the family. I added roasted peanut bits on top, kids loved it. Great idea! Love roasted peanuts! ??? ?